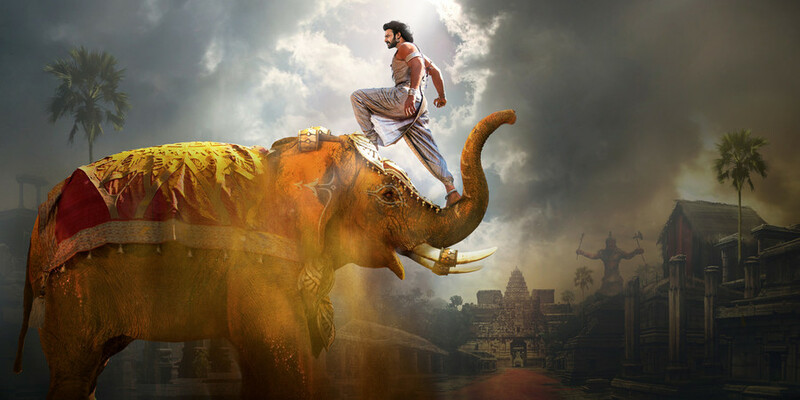 We invite you to a marathon of "Baahubali: The Beginning" and "Baahubali: The Conclusion" – a journey filled with extreme emotions, spine-chilling adventures, and gripping clashes of muscular warriors and agile warrioresses. The biggest success in the history of Tollywood – the cinema of South India. A baby found in a stream grows up to become a mighty warrior, whose fate leads him towards an ancient kingdom suffering from the hands of a tyrant. Sky-high waterfalls, hundreds of warriors, elephants, chariots, flamethrowers, a dazzling golden city and a bewitching love story – this is just the beginning of what the first part of the saga has to offer. The hero discovers his legacy and the turbulent past of the Mahishmati kingdom – the history of feuding heirs to the throne, sinister intrigues which shook the country, and the complicated love story of his parents. Expect plenty of spectacular sword and bow fighting, silk saris rustling in palace corridors, and even an aerial journey in a ship shaped like a swan. Born in 1973. Grew up in a family of filmmakers, as the son of director K. V. Vijayendra Prasad. He started his career in 2001. All his films were major box office hits, some were remade in Hindi. He is praised for broadening the scope of Tollywood cinema - brilliant use of new technologies, introducing fresh subjects, production grandeur and impressive visual imagination. His experimental fantasy film "Eega" brought him over 30 awards at various festivals.